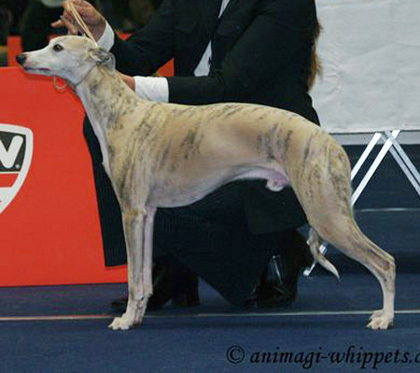 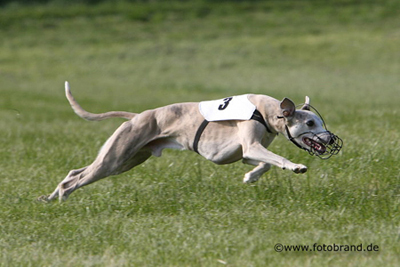 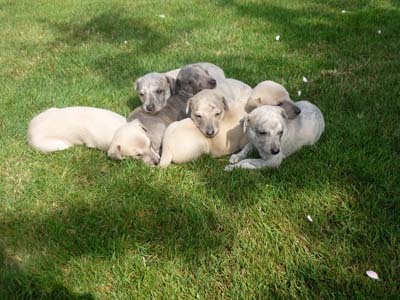 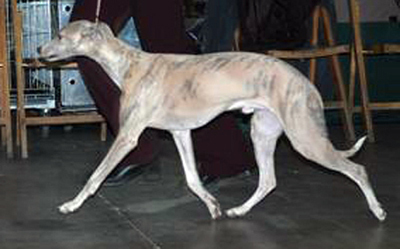 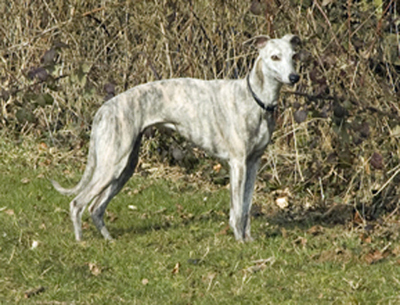 Favour (below) went to Germany where she was mated to Int Ch Golden Peanut's Quattro (right, bottom and below right) during the storm that swept Europe. 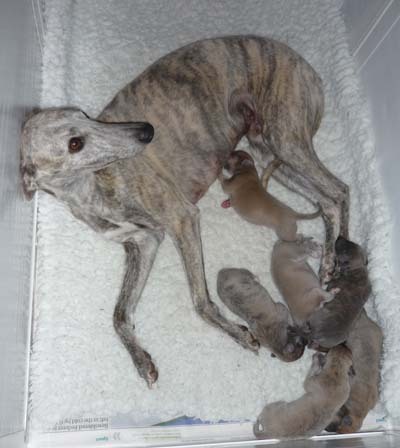 Fortunately, all went well and six puppies arrived safely on April 25. 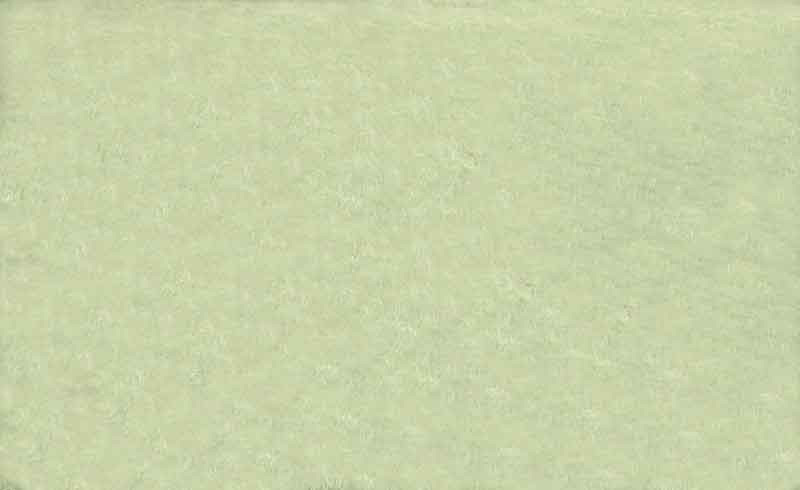 First pictures below.